The video for Troubled Town, a track from Kathy Muir’s third album was released at the tail end of last month. A song about her current home town in the United States and the City she was brought up in, Edinburgh, it serves as a pleasantly soulful introduction to the artist for those who may not be familiar with her work. The piano only accompaniment complements her voice perfectly as she delivers an ultimately optimistic outlook on life. It’s a theme that runs throughout the album the track was lifted from, Second Life. Released in September of last year it’s well worth catching up with now. Trying to slot this collection of songs in to any particular genre is difficult. What’s served up is an interesting cocktail of pop, folk, jazz and more. Placing the title track at the end is a real sign of Muir’s confidence in the album as a whole as she invites the listener to go on a complete musical journey with her. There are highs here, lyrically and musically. Opener, Lucky One, drips with sarcasm, sugar coated with a soaring melody. What follows is a mature collection of songs offering more than enough variation to keep the listener interested. One of the folksier tracks here, Like Warriors, has Muir recalling her upbringing in Edinburgh. The images conjured up of childhood seen from an adult perspective are a delight. Anybody who was brought up in Oxgangs during the sixties or seventies will surely have the accompanying video playing on repeat for hours. Final track, Second Life, brings things neatly to a satisfying conclusion. There are constant references throughout the album to childhood, instilled values of decency and compassion and faith in the future. Aye, life may be tough at times but the human spirit will prevail. In these increasingly uncertain times it’s a comforting vision to share. 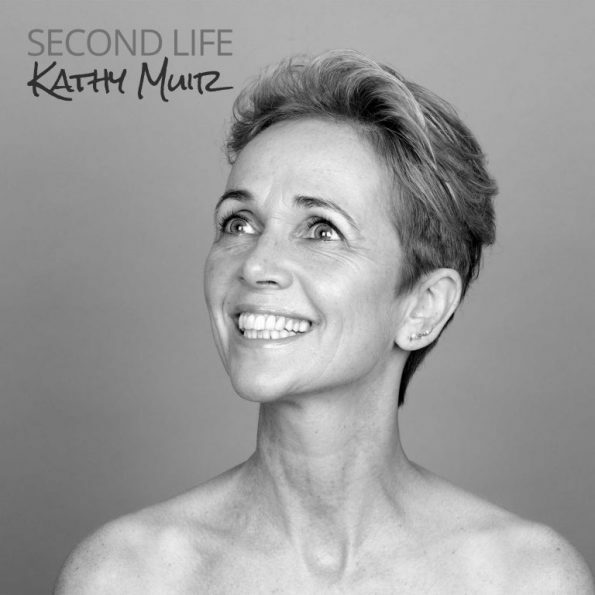 For more information on Kathy Muir visit her website. At the end of this month it will be eight years since John Martyn, one of Scotland’s most prolific musicians died. Despite producing several highly acclaimed albums and gaining the respect of his peers he never came close to gaining the commercial success his talents deserved, possibly because he was one of the great musical non-conformists. As a guitarist his innovative and unique style was peerless. His voice was a thing of beauty, his slightly slurred delivery adding yet another layer of magic . As a songwriter his craftsmanship was impeccable. When these three elements combined during a performance the synergy was astonishing. Songs such as Sweet Little Mystery, Solid Air, Small Hours and so many more are all capable of taking the listener on an emotional journey that they will never want to end. John Martyn was born in Surrey in 1948 as Iain McGeachy. His childhood was spent in Glasgow where he had moved to as a young child with his father after his parents divorced. He cut his teeth as a guitarist and singer playing in various folk clubs around Glasgow before following the well-worn path from Scotland to London. After changing his name to John Martyn, he began to attract attention playing at venues such as the Les Cousins basement folk club. In October 1967 Island records released his debut album, London Conversations. It was a solid start to a recording career that would produce over 20 studio and live albums. December 1968 saw the release of The Tumbler, a second album of folk songs but this time with a slightly heavier jazz element. In 1969 he headed for Woodstock having been hired to act as a backing guitarist on his new wife Beverley Kutner’s album. He wasn’t to remain in the background long and after pushing himself forward on the back of several songs he had written the married couple became a musical duo. The result was the 1970 LP, Stormbringer. They would make two records together before he resumed his solo career and the rest of the 1970’s was to see Martyn produce some of his most consistent work. The highlight of the decade, and possibly his whole career, was 1973’s Solid Air. Ostensibly a folk record it was a genre defying masterpiece, one of those albums that will constantly be rediscovered by following generations. He ended the decade with perhaps his most emotional album of all, Grace and Danger. A response to the break-up of his marriage to Beverley its release was delayed for a year by Island supremo Chris Blackwell. A friend to both husband and wife, he initially declared it far too disturbing. He had a point, it made Dylan’s reaction to his divorce, Blood on the Tracks, seem almost joyful by comparison. The album took its title from a manager’s description of Martyn’s character, a comment that Martyn himself conceded was fair. When thinking back on John Martyn’s career his dark side really can’t and shouldn’t be ignored. Drug abuse and long term alcoholism cast a shadow over his life and the problems that inevitably causes, both physically and mentally were not to pass Martyn by. Allegations of domestic abuse certainly sit at odds with the hauntingly beautiful love songs he produced. . As outsiders most of us really only have the music to base our judgement on and as with many great artists we must accept that he was no saint. Just how big a sinner he was is still open to conjecture though. The eighties and nineties were to see Martyn continuing to push the boundaries. Whether it was on genre crossing albums, soundtracks or live performances he continued to do the unexpected. It’s a track that those who have already achieved considerable commercial success can follow virtually risk free, the financial cushion that huge sales bring acting as a safety net. For an artist like John Martyn, who had never really hit the big time, it was a path fraught with danger but nonetheless a path he continued to tread. The new millennium saw Martyn continuing to record and perform whilst continuing to surprise. In 2001 he teamed up with dance artist Sister Bliss to record a cover of The Beloved’s Deliver Me, a venture that saw him hit the singles charts. In 2003, whilst living in Kilkenny, Ireland, John Martyn had his right leg amputated following major problems caused by a baker’s cyst yet he still continued to perform whilst sat in a wheelchair. Weight issues caused by his immobility dogged his final years yet his black humour still shone through, frequently referring to himself as a one legged sumo wrestler to his audience. John Martyn passed away on the 29th of January 2009 due to respiratory failure. His legacy and influence on those who have followed him simply cannot be overestimated. Those who worked with him described him as being both a brilliant musical comrade and a difficult one. We can all only be thankful that his apparent unwillingness to compromise has left us with such a rich and diverse library of music to enjoy, full of mernts of genuine beauty. John Martyn September 1948 – January 2009.